Herbals teas have been used for centuries to improve health. There is no shortage of superfoods, detox teas, and cleansing products on the market. These words are basically e-commerce clickbait because as soon as you slap them onto a product you instantly generate interest from a huge section of the health food consumer marketplace. For the most part, it’s nonsense. There is no clearly defined criteria for a “superfood”, and a detox tea can be pretty much whatever you want it to be, which is why teas with this label tend to include everything from massive doses of laxatives and diuretics to some random extract from some alien plant. But there are real healthy teas that can improve your health, without making you poop through the eye of a needle. 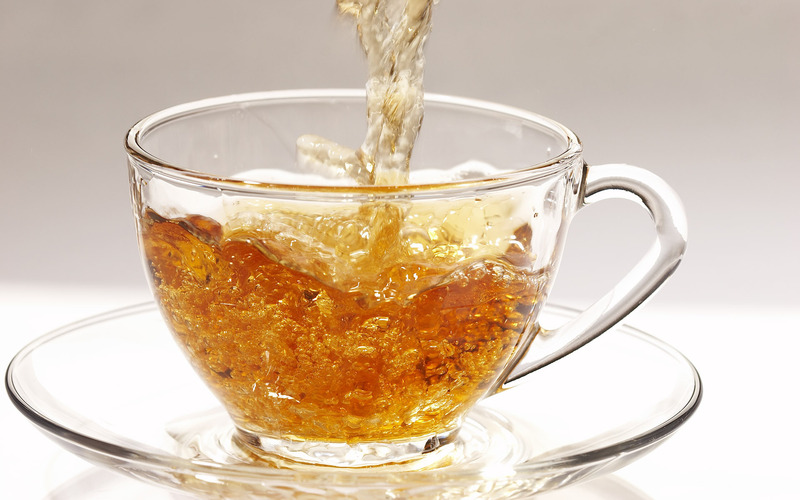 These teas aren’t going to cure cancer or make you drop fifty pounds of fat overnight, but nothing is, and at least these teas are actually good for you in many proven ways. This is a genuinely beneficial tea. It has been linked to improvements in overall liver health and it is also being researched for its potential benefits as an anti-cancer drug. Of course, dandelion root is also a diuretic and is often mega-dosed in detox teas for this very reason. Some of these blends are using so much root or extract that you would expect a team of lawyers to be on their back. But when consumed in normal amounts it is perfectly safe and won’t rid your body of every ounce of water it contains. Known as “Shepard’s Tea”, Greek mountain tea is one of the healthiest herbal teas on the market. One of the most exciting studies to have been conducted on this tea in recent years suggested that it could be used to improve memory in older subjects and that it could even combat the onset of degenerative brain diseases like Alzheimer’s. The beneficial compound in turmeric is “curcumin”, which has led to many supplement companies extracting this compound and selling it in tablet form. But the best way to enjoy it is to add copious amounts to spicy food or to make a frothy, milky tea out of it, making sure you include a dash of pepper as it drastically increases absorption. This simple spice provides an abundance of health benefits. It is an antioxidant and an anti-inflammatory and it has generated positive results in the field of arthritis treatment and even cancer treatment. In fact, even Cancer Research UK, the UK’s leading cancer charity seem to be getting excited about the potential benefits of this spice. With all of these healthy herbal teas hitting the market and dragging all kinds of beneficial studies and research with them, it’s easy to overlook camellia sinensis, the plant that gives us green tea, black tea, white tea, matcha tea and oolong tea. All of these are healthy, filled to the brim with antioxidants and minerals like manganese, but it’s green tea that tends to be the star of the show, and deservedly so. There are a huge number of healthy compounds in green tea and countless studies have shown that occasional consumption (around 3 cups a day) can help with everything from weight loss to diabetes control and metabolic syndrome. It’s not all positive though. One of the issues with green tea is that it is always consumed without milk and while it is supposed to be made with water heated to a lower temperature than black tea and herbal tea, it is still often made with boiling water. It is believed that this is the main contributor to the high rates of esophageal cancer in tea drinkers. These studies were also conducted on drinkers and smokers, finding that a smoker/drinker who consumed regular cups of hot tea had a greater chance of getting this disease than those who did not. But even if you don’t smoke or drink, it’s still worth toning down the temperature a little. Often seen as a tea to help you sleep, chamomile is so much more than that. This tea is actually prescribed to treat a number of ailments all over the world, most of which are related to digestive issues because while anecdotal evidence can back up the claims that chamomile is good for insomnia, there is very little actual evidence to do the same. Chamomile is a potent anti-inflammatory and it is from this that many of its digestive benefits are said to be derived. And while it probably won’t do much to help you sleep, there is something to the sedation angle, with one study finding a 50% reduction in the symptoms of anxiety during human trials.